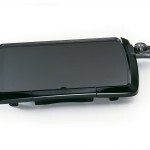 You are here: Home / online shopping / Presto Cool Touch Electric Griddle only $19.94! I got this Presto Cool Touch Electric Griddle as a wedding gift almost 11 years ago! We STILL love it and use it often! 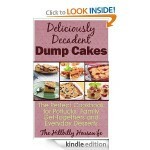 It’s great for making pancakes (breakfast for dinner, anyone?) and for grilled cheese sandwiches, too! 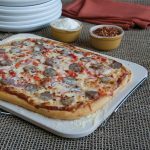 The nonstick surface makes it easy to clean up, too! 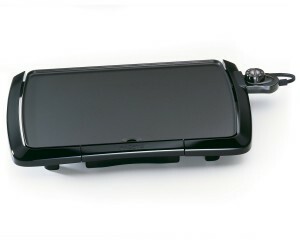 Right now, you can grab this Presto Cool Touch Electric Griddle for just $19.94! It’s regularly $44.99! 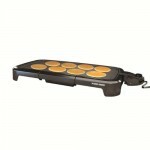 Black & Decker Family Size Griddle only $19! 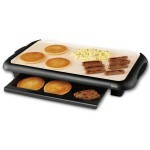 Oster Folding Griddle on sale for $19.99! 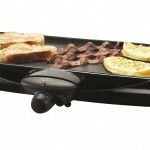 Oster Ceramic Griddle with Warming Tray 38% off!